An impressive ‘robot protector’ is set to be rolled out on Japan’s newest, ever-growing, island to counter the emerging threat of a tsunami from the island’s own volcano. Nishinoshima volcanic island has grown more than 12 times in size since an underwater eruption in 2013 which saw its creation. This new land mass merged with the original Nishinoshima island, formed in the 1970s. 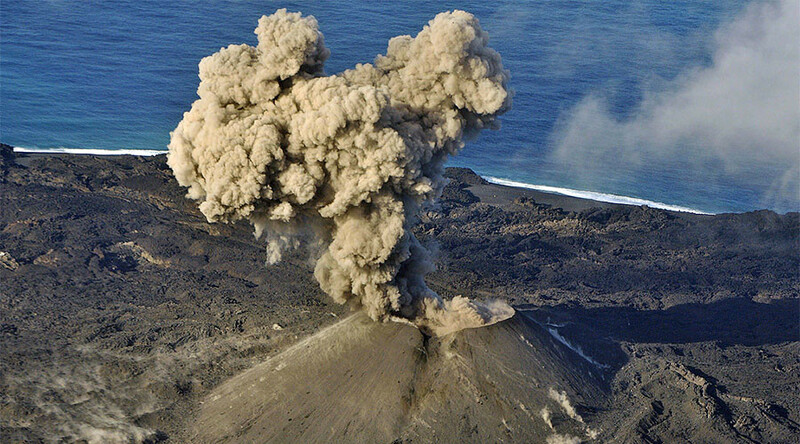 The active volcano is considered a looming risk to nearby Ogasawara island, home to 2,500 people, prompting Japan’s Agency for Marine Earth Science and Technology (JAMSTEC) to recruit an autonomous drone tsunami detector. The wave glider, worth US$180,000, stores wave and solar energy to power itself for months at a time. It works with a Vector TsunaMeter (VTM) that transmits data from under the sea to the wave glider itself. The VTM is submerged 4,000 meters below the surface and combines a pressure gauge with a electromagnetometer to detect changes in the water. The device has passed its testing phase and is all set for full-time patrols from May. 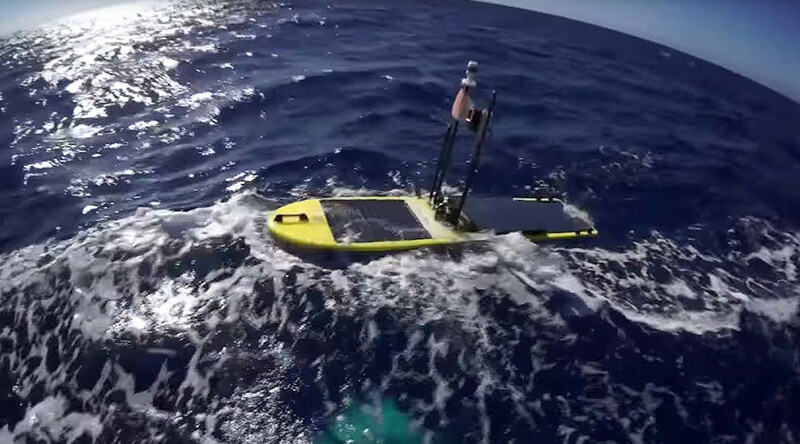 The bot, which looks like a futuristic surfboard, will work around the clock to provide vital early warnings of possible tsunamis. The glider comes equipped with its own time-lapse camera, microphone and hydrophone. The wave glider will be programmed to collect data and transmit it to a satellite in a process that takes mere minutes, according to geologist and previous Chief Scientist of JAMSTEC, Hiroko Sugioka, New Scientist reports. The system will be piloted in May for at least three months and, if successful, a team of tsunami-detecting bots will be deployed across other parts of Japan. Japan is home to 10 percent of the world’s active volcanoes. The country was rocked by a massive tsunami in 2011 following an earthquake off the Pacific coast of Tōhoku. The giant wave destroyed the nuclear power plant at Fukushima and killed thousands of people along Japan’s northeastern coast.